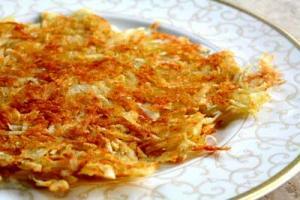 There are tons of ways to serve hash browns: crispy (which is the way we like them, in case you were asking) ... a little softer, with a lot of butter ... as part of a fancy steak dinner ... with breakfast ... down your pants. Georgia soccer player Carli Shultis is expected to have any upcoming punishment for a misdemeanor shoplifting arrest earlier this week handled by coach Steve Holeman as the Bulldogs open their spring schedule. Shultis, 19, was arrested by UGA Police and charged with theft by shoplifting Tuesday morning at the Tate Center Bulldog Café. A restaurant employee called police after witnessing Shultis putting hash browns in her pants and then proceeding without paying for them, UGA Police spokesman Lt. Eric Dellinger said. Police were dispatched at 8:32 a.m., and Shultis admitted to the responding officer she had taken the $1.06 order of hash browns, according to Dellinger. Shultis was taken to the Clarke County Jail, where she was released that morning on $1,500 bail, according to records. The best part, per Rick Chandler at Off the Bench: Her favorite movie, according to her athlete bio, is "Law Abiding Citizen." In every situation except those involving delicious hash browns, it would seem.